Want to learn a simple way to sell more stuff to more clients? Now, I’d like to tell you another story (because the best lessons in any walk of life are through examples and stories). This story highlights an often overlooked but very simple way to sell more. And the moral of the story is this: “if you’re paying attention, you will see opportunities for your clients to buy from you”. You see, at some point, some of your clients are going to ask you for something that you don’t already do. But with some attention that could end up being quite a lucrative product or service. So, have a think about this story and have a think about how you can put something into effect in your own business. Just recently, I bought a gift for a client. I quite like buying gifts for clients they tell people, and it’s often a very cost effective way of encouraging clients to tell colleagues about the great work that we do. Sometimes, they talk more about the gift that they’ve received than they do the website that we built, largely because we try and be a little bit humorous and a little bit different with the gifts. But, the thing is, I’m not very good at wrapping things up and making them look presentable. Like many men, wrapping up presents has never been something I’ve particularly practiced. 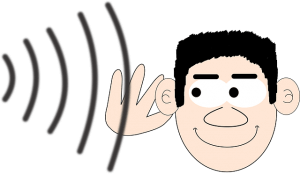 Listening to customers is a really simple way to sell more. And I thought, Okay. I’m not brilliant at packing or wrapping or anything, but even I think I could manage that. So I bought the stuff and I left the shop. It cost me about five pounds. When I got back to my desk, I thought, actually, I gave her two clear opportunities to take some money from me to make my life easier. First of all, she instantly dismissed the concept of being paid for wrapping up a gift. The chances are good that it would have taken her five minutes (at most) to gift wrap this tee shirt and I would happily have paid ten pounds, possibly a little bit more, for that time. So, she said no to what could be a potentially profitable service to her customers. When somebody comes in to buy a gift she could easily say, “Would you like that gift wrapped for you?” “Can we gift wrap for you for just an X number of pounds?” To some extent, and for people like me, that would have been an almost instant sale, just for asking. But, she didn’t even contemplate it. On the next level, I said to her, “There wasn’t many things here for men.” Now, I know that many of her customers are women, but I would argue that large numbers of these women, if not most of them, have men in their lives. So, the chances are good, if stuff that would appeal to men was in the shop, people would buy it. It doesn’t mean she has to just change everything, but just enough to serve this particular segment of the market. She missed out on the opportunity to earn some money from gift wrapping my tee shirt, and a week and a bit later I still haven’t done it because I still don’t feel confident about gift wrapping anything. But, she also seems to be missing out on selling to an under-served segment of her market within her shop. Large numbers of people who come into her shop would probably buy something for the bloke in their life or wrap something up in paper that would appeal to their bloke in their life if they were given the opportunity. Now, which do you think is likely to mean that the customer is better served? The first way, “No, we don’t do that?” Or, the second way, giving you the opportunity to provide the service at a profit because your client has asked you if you can do it? Take what we do in website design. A lot of our customers ask us if we can do SEO. Well, we do SEO when we build a website and we can also do some elements of ongoing SEO and promotion work after it’s launched. We only started doing that because somebody asked us if we could, not because we thought it was a great service offering. Somebody said, “Well, can you do this and I’ll pay because I don’t want to do it myself.” And we said, “Well, we don’t do it right now. But, I’ll tell you what. Leave it with us. We’ll do some research and we’ll come back to you.” So, we did some research, looked at how we could possibly make it into a product that we could manage, and funnily enough, we have a product which some of our clients pay for. The same with blog writing services – one of our clients come to us saying, “I don’t have time to write on a blog every week. Can you do it for me?” To begin with, we thought, “Hmm. Not so sure.” But, we said to the client, “Look. Leave it with us and we’ll see what we can work out.” A week later, we went back to her and said, “More than happy to write a blog for you. It will cost you X pounds a month for X number of blog posts with X number of words in them.” And she said, “Fine. Let’s do it.” Now, if we had simply said, “No, we don’t do that,” we would have missed out on the opportunity to develop a brand new product. Now, here’s the thing: your customers will often give you the seeds of new products and new services if you’re paying attention and if you don’t instantly say, “No. We don’t do that.” Yes, I appreciate that this will take some paying attention. Yes, I can appreciate that this won’t necessarily be easy. But, once you get good at this, to some extent, you don’t really need to have the creativity to develop products and services out of thin air. Your customers will tell what they want to buy and it’s up to you to meet those needs. always be looking for opportunities to fill gaps that revolve around your core product offering. Listening to what customers ask for is a really simple way to sell more. So, I hope that was useful. If you have any thoughts, or comments, or questions, put them in the comments below. Good luck.